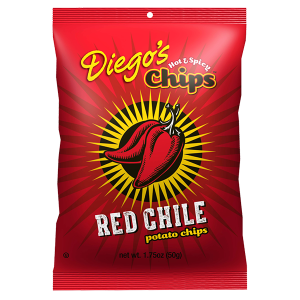 Some chips claim to be spicy, but may leave you feeling, well, underwhelmed. İRico, Suave! 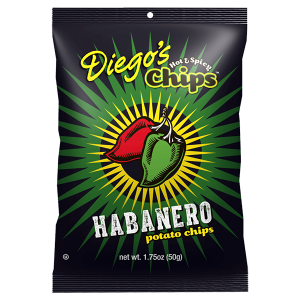 Meet Diego’s Chips™: the bold, spicy snack that’s positively brimming with the authentic flavors of the Southwest. Hot enough to make your taste buds represent—with a fiery spice blend that redefines the borders of great taste.